* Company Hunts – many one-day Digital Treasure Hunts for relevant teams and departments, over your desired time-period, combined with ongoing competitions to embed learning. 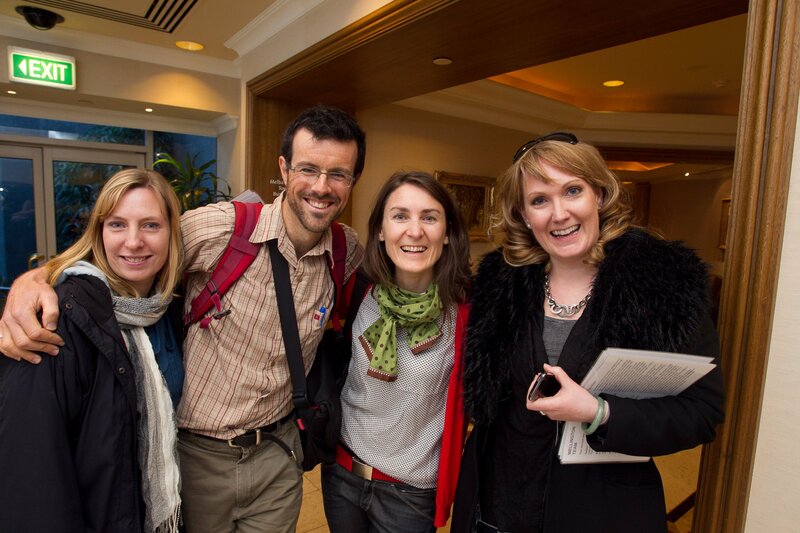 * Optional extras include filming of the event, additional Social Media experts to further enhance learning, and advanced techniques for public events and more advanced users. Company Hunts include an Social Media audit providing insight to your organisation’s level of Social Media understanding, your company’s online risks and opportunities – including how to improve Twitter, Facebook and other sites; your company’s online influence network (which is often yet to be tapped). We also tailor content to include your Social Media policy, work with you to decide an appropriate order on the training timetable (with respect to key priorities and urgent groups) and design a cross-company competition that has everyone engaged. Pricing starts at $12,000 for a one day Hunt for 15 people. Our vision is to bring Social Media to businesses in a way that delivers bottom-line results and has people learn new communication methods in a fun and productive way. What’s exciting is that we’ve incorporated the workshops we’ve run successfully many times (Online Content Development and Growing your Online Audience), with a focus on business benefits, interactivity, and fun learning. Come on, come Hunting with us! 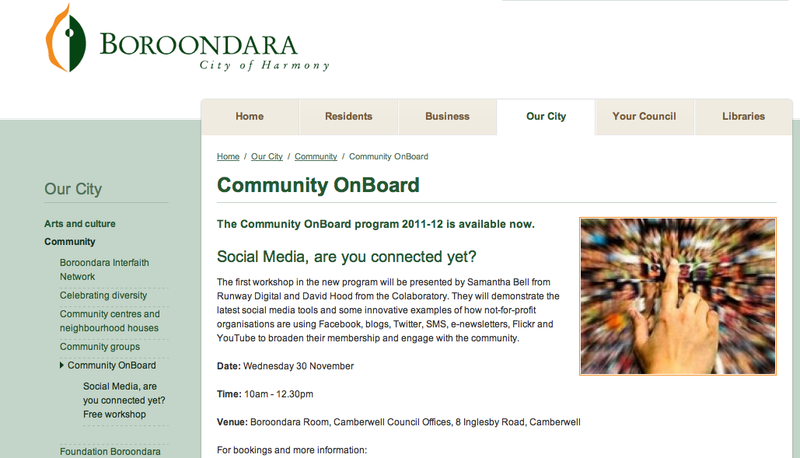 Runway Digital is presenting for the City of Boroondara. “The first workshop in the new program will be presented by Samantha Bell from Runway Digital and David Hood from the Collaboratory. 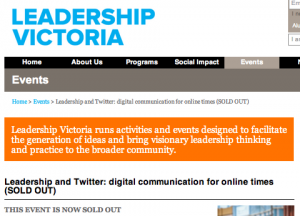 They will demonstrate the latest social media tools and some innovative examples of how not-for-profit organisations are using Facebook, blogs, Twitter, SMS, e-newsletters, Flickr and YouTube to broaden their membership and engage with the community. Learn how to improve Twitter, Facebook and other sites quickly with in a focused, strategic approach to online.